Hi guys! This week i decided to dedicate the week to make recipes for gel related products. I know that many of you have some 'problem' in some area of the skin. and it doesn't makes sense to use a product for whole skin right? I mean if you have like a small pimples on forehead; why change your whole skincare routine to anti acne products just because of one pimples? why not just spot treat it? And in this case; its why not you create a product like this gel that we will be making; thats completely 'transparent' and you could use it on affected area only when you need it? Right???? So this week we would be making gels for different problems that can be 'spot' treated like anti itch gel, acne gel, pigmentation gel, and so on. There are many of us out there who are afflicted with skin that gets easily irritated and inflamed. Today’s recipe will be an aid against that. 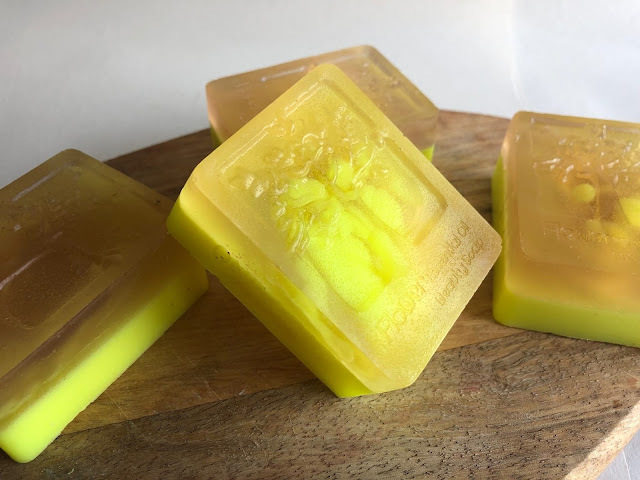 In this recipe we will be using Soaplab’s handmade; aloe vera gel base. A baby shower is an intimate and memorable experience. It is only fitting that you leave the guests with equally memorable gifts. Handmade soaps are personal and you can design different soaps to match the different personalities of your guests. It also is a bonding exercise to whomever are making the soaps together. 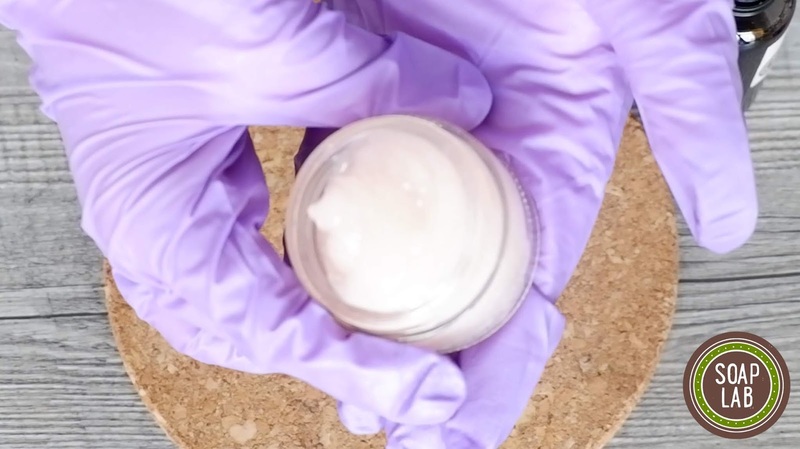 To make the soap, add blue and pink liquid pigments to soaplab’s opaque soap base. Use Goodnight Baby fragrance oil for a pleasant and relaxing scent. 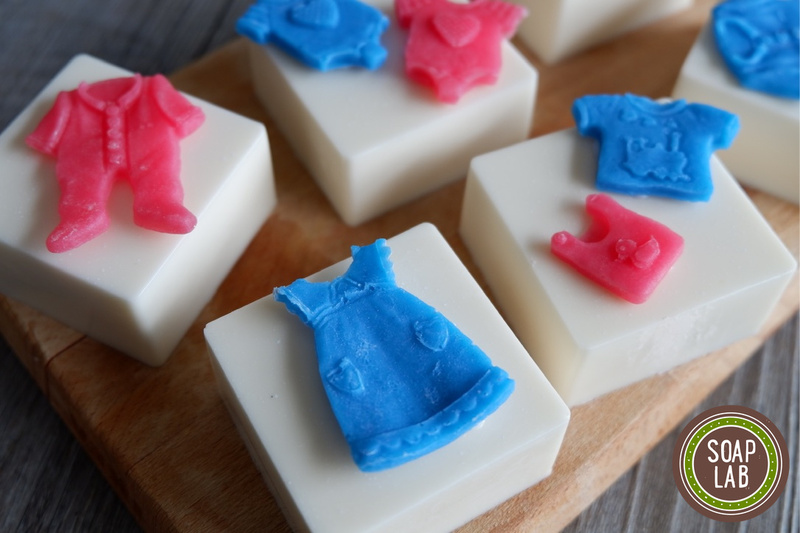 As mentioned, you can make different baby themed soaps for your guests. Have fun! If you are looking for a fun gift for an event you are hosting you can give out handmade soaps. Use Soaplab’s transparent soap base which helps to hydrate and cleanse your skin. Next, add lemon essential oil which helps unclog pores and makes your skin tighter. Add maple, oatmeal and honey fragrance oils for a pleasant and sweet scent. Finally, add yellow liquid pigment to give your soap the perfect look. This is a soap you can have as much fun making as your guests will have using!